Artist statement: “My purpose is to express the immaterial essence of things in physical stuff: to make tangible the universal essence of the creation”. “Lines of pain”, 2015, wood, dyed wool, 130 x 240 x 160 cm. International EcoArt Festival ” Point of Return”, Irkutsk, Russia. Bogdan Kromski, Tanya Preminger, Pyf Poliakov. 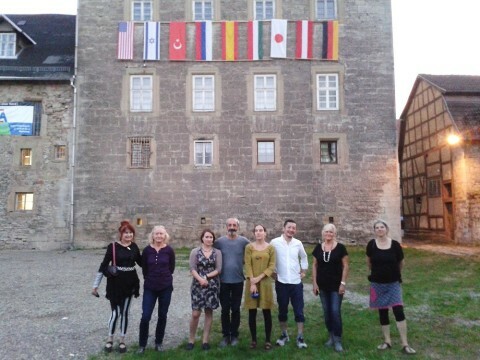 2015 Internationales Keramiksymposium Römhild (Germany) Participants:Sylvia Nagy (USA), Gudrun Sailer (Germany), Ucki Kossdorf (Austria), Rafa Perez (Spain), Tanya Preminger (Israel), Melinda Dempsey (Hungary), Kenichi Harayama (Japan), Irina Razumovskaya (Russia). 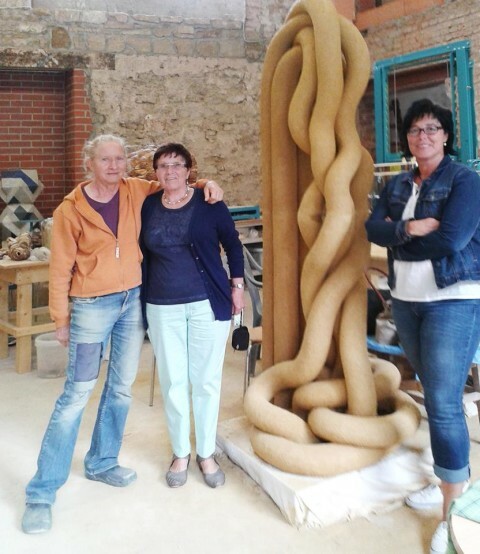 Gertrud and Dagmar, Friends from Steinwenden visit me in Internationales Keramiksymposium Römhild Thüringen and they presented me ice cream more beautiful than my work.